Need to be mentally sharp for a big job interview or energized to teach your yoga class? What you eat can have a profound impact on your mood. Some foods create more sustained energy and improve mental focus, while others can give you a surge of ready energy followed by a slump. “Everything you eat can be fuel to support your body functions and a positive mood or a compound that can cause disruption,” says Ali Miller, registered dietitian and author of Naturally Nourished: Food-as-Medicine for Optimal Health. Moods are affected by numerous factors – from the stressors in your life and the people you see every day to your inborn personality. But most people overlook the powerful impact of food on mood. Nutrients provide the building blocks for brain chemicals called neurotransmitters that can affect how you think and feel. When these feel-good brain chemicals are out of balance, they can cause a range of emotions – from fatigue and brain fog to anxiety and irritability. “Carbohydrates are important because they are the primary fuel source for energy generation. Where carbs become evil or bad is with the type of carb,” says Dr. Peter Osborne, board certified in clinical nutrition and author of No Grain, No Pain. 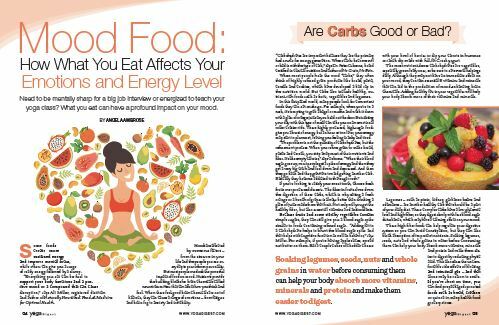 When most people hear the word “carbs,” they often think of highly refined grain products like bread, pasta, cereals and cookies, which have developed a bad rap in the nutrition world. But carbs also include healthy, nutrient-rich foods such as fruits, vegetables and legumes. In this fast-paced world, many people look for convenient foods they can eat on-the-go. For example, when you’re in a rush, it’s tempting to grab a bagel or muffin and wash it down with a glass of orange juice as you head out the door. But starting your day with this type of meal can take you on an emotional roller coaster ride. These highly processed, high-sugar foods give you a burst of energy, but an hour or two later, your energy may start to plummet, leaving you feeling cranky and tired. If you’re looking to satisfy your sweet tooth, choose fresh fruits over processed desserts. The fiber in fruits slows down the digestion of these carbs, which is why eating a fresh orange or a bunch of grapes is always better than drinking a glass of juice made from that fruit. Not only will you get the healthy fiber, but also essential vitamins and antioxidants. Because fruits and some starchy vegetables contain simple sugars, they can still give you a blood sugar spike similar to foods containing refined sugar. “Adding fat to a carbohydrate helps to blunt the blood sugar spike and that helps with cognitive function as well as behavior,” says Miller. For example, if you’re having apple slices, spread nut butter on them. Eat a couple cubes of cheddar cheese with your bowl of berries or dip your carrots in hummus or ranch dip made with full-fat Greek yogurt. The most nutrient-dense carbohydrates are vegetables, especially green leafy ones, so be sure to eat several helpings daily. Although they may not have an immediate effect on your mood, they contain essential B vitamins and minerals that can aid in the production of mood-enhancing brain chemicals. Adding healthy fats to your vegetables will help your body absorb more of their vitamins and minerals. Legumes – such as pinto, kidney, garbanzo beans and edamame – are another healthy carb that should be a part of your daily diet. These complex carbs have a low glycemic level and high fiber, so they digest slowly with less blood sugar disturbance, which may have a calming effect on your mood. These high fiber foods can help regulate your digestive system so you can avoid constipation, but they can also block absorption of important nutrients. Soaking legumes, seeds, nuts and whole grains in water before consuming them can help your body absorb more vitamins, minerals and protein and make them easier to digest by reducing phytic acid. This also eases the uncomfortable side effects of bloating and intestinal gas – and that alone may be reason to smile. If you’re short on time, you can find prepackaged sprouted foods such as bread, crackers or quinoa in many health food grocery stores. Eating protein-rich foods can give you a mental energy boost, help stabilize your blood sugar level and make you feel full and satisfied, so you are less likely to crave a high carb pick-me-up food midway through the afternoon. The more stable your blood sugar level, the less likely you are to have mood swings or feel fatigued. One of the most important amino acids found in protein is tryptophan, necessary for building serotonin, which can affect your mood, sleep, appetite and your ability to relax. When you don’t consume enough foods that are rich in tryptophan, you are more prone to depression, irritability and anxiety. Turkey is the most well-known source, but all animal proteins, including eggs, chicken, beef, pork and fish are rich in this essential amino acid. Tryptophan can also be found in beans, nuts and seeds, but is not as easily absorbed as it is in animal proteins; however, sprouting them will make the tryptophan more readily available. Another superstar nutrient found in protein is L-theanine. This amino acid-derived compound is found in high amounts in matcha, the powdered form of green tea, which can be found in many health food stores and juice bars due to its energy-boosting effects. For years, we’ve been told that fat is bad for us, but research now shows that adding healthy fats to your diet can enhance brain function and may also help prevent overeating because you feel more full and satisfied. Consuming fat is critical for healthy brain development in children and equally important in the normal brain function in adults. In fact, your brain is made up of about 60 percent fat, which is the primary fuel source for this organ. However, not all fats are created equal. One of the most beneficial types is omega-3 fatty acids found in wild-caught salmon, walnuts, flax or chia seeds and grass-fed meats and dairy products. Fat is anti-inflammatory and can help coat and protect the brain. Research also suggests long-term benefits of consuming omega-3s in protecting against memory loss common in Alzheimer’s disease and dementia. In a 2012 Mayo Clinic study, those subjects whose diets were highest in fats such as nuts and healthy oils were 42 percent less likely to show signs of mild cognitive impairment, which often precedes Alzheimer’s. 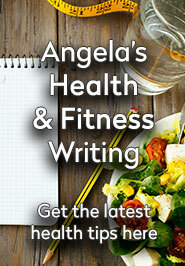 “People who generally don’t have enough omega-3s in their diet are hyperinflamed. Too much inflammation becomes damaging, especially when accumulated over time and can develop into chronic inflammatory diseases,” says Osborne. One of the most dangerous inflammatory diseases is Alzheimer’s disease, which causes chronic inflammation in the brain over time. If a person doesn’t get adequate omega-3s in their diet, they predispose themselves toward developing dementia, he explains. Research also shows that eating foods with high levels of omega-3s reduces the risk of depression in certain cultures and may improve the memory and cognitive skills in some children with ADHD. Today, omega-3s are heralded as a superfood that is good for your brain and your heart. But when it comes to saturated fats, the message has been less clear. For decades, we’ve been advised to limit our intake of saturated fats, which are primarily found in beef, pork and poultry, as well as foods derived from these animal sources, such as whole milk, cheese and butter. A recent meta-analysis of more than 70 published studies on heart disease found that saturated fats had no effect on heart disease risk as previously believed. Miller recommends including saturated fats as part of a healthy diet, especially grass-fed meats and dairy products from these pasture-raised animals, as well as coconut oil. Grass-fed meat and dairy products are healthier than grain-fed because they are richer in omega-3s, iron and zinc. Both omega-3 and saturated fat influence the cell walls or barriers in the brain, as well as playing a vital role in brain cell formation, which reduces inflammation and improves long-term cognitive function, explains Miller. Monounsaturated fats such as olive oil, almonds and avocado are also healthy additions to your meals. Because fats give us a greater feeling of satiety, they help curb our cravings for junk food, making us less irritable and distracted. The one fat to always avoid is trans fat, also known as partially hydrogenated vegetable oil, which is commonly used to extend the shelf life of processed foods such as cookies, cakes, chips and fried foods. Regular consumption of trans fats creates inflammation in the body and may increase your risk of heart disease, diabetes and Alzheimer’s. Another food that is critical to brain health, as well as your digestive tract, is probiotics – beneficial bacteria found in fermented and cultured foods such as full-fat yogurt, kefir, miso paste, sauerkraut and other pickled vegetables. Beware of additives in your foods that can derail your mood. For example, monosodium glutamate is frequently used as a flavor additive in Chinese food and processed foods. This excitatory chemical can cause agitation along with a long list of other side effects – from headaches and numbness to heart palpitations. Food dyes are added to nearly all processed foods and may lead to anxiety and difficulty in focusing for some people. Also look for hidden amounts of caffeine in foods and drinks. Although some people may feel more alert and mentally sharp when consuming caffeine, others may experience anxiety, mood swings or insomnia. Aspartame, one of the most popular artificial sweeteners, found in diet soda and chewing gum, is a neurotoxin and can cause hyperactivity. The easiest way to avoid all these hidden additives is to skip the processed foods and stick with fresh, whole foods. When going to the grocery store, shop the perimeter where you will find all the fresh produce, meats and dairy and avoid the center aisles filled with processed foods and sugary drinks. The consequences of eating junk food goes far beyond having a bad mood. The cumulative effect of poor food choices can increase your risk of chronic inflammatory diseases, including dementia. If you eat a lot of highly refined foods and few whole foods, chances are you’ll be missing essential nutrients in your diet, even if those foods are fortified with vitamins and minerals. These synthetic nutrients are not as easily absorbed by your body as those found naturally in foods, explains Osborne. The most common mineral deficiency worldwide is iron, which may cause anemia and symptoms of fatigue and shortness of breath. One of the best ways to stay healthy is by eating well-balanced meals that include a wide variety of fruits and vegetables, legumes, healthy fats and protein-rich foods. Not only will you have more sustained energy and focus at work and on your yoga mat, but you will also cut your risk of disease over the long haul. And that will definitely put you in a better mood! This smoothie combines compounds that support a healthy mood while providing balance in the brain. Rich in amino acids and cofactors for regulated stress hormone production, this smoothie helps to reset the brain and prevent depletion of serotonin and dopamine. It also provides anti-inflammatory support and L-theonine from the matcha green tea powder to aid as a pilot in the brain to steady stress response and provide stable calm energy. Blend ingredients orange through matcha powder in blender. Once mixed well, add scoop of grassfed whey and zip briefly in blender to incorporate. Serve as light meal or snack for one.